3 Month Payment Schedule Now Available! "Shortly after laying down on the Silverite pillow for the first time, I realized that my nose was no longer congested and it lasted throughout the entire night. I slept without waking up until the first alarm went off. I was able to get up at 6 am, feeling rested and refreshed, which has not been my norm!" "I've always had terrible allergies in the spring and fall and THIS is the FIRST fall that I've slept through. At first, I didn't believe it was the pillow that was making a difference until I kept switching pillows on-and-off and discovered it really was the Silverite pillow that makes a difference for me!" "What I like about the Silverite pillow is that it doesn't go flat and it adds support because I'm a side sleeper with big shoulders. It doesn't push your heard forward like the memory foam pillow I've used in the past and my head doesn't sweat with the Silverite pillow, which has been an issue with every other pillow I've tried." "My daughter let me use her Silverite pillow on a women's retreat we attended together. I've had ongoing issues with my nose always being stuffed up while I slept. I couldn't believe how well I could breathe all night with the Silverite Pillow. I loved the pillow so much that I bought one when we got back home. It's a miracle!" "I became aware of how toxic pillows and bedding could be a couple of years ago, so I invested in an organic pillow but the fill was not adjustable and it was not as comfortable as I hoped. The kapok filling in the Silverite pillow is adjustable and very soft and comfortable. I also love that the silver infused cotton is naturally anti-bacterial. The Silverite pillow is luxurious and I take it with me wherever I travel and recommend this healthy pillow!" "Many years ago I had a car accident and injured my neck. I've purchased many pillows since then looking for the right one. The first night I used the pillow made a huge difference in my sleep pattern. I didn't wake up tossing-and-turning trying to fit the pillow under my neck. I woke up feeling refreshed and full of energy. I know that I'm never sleeping without my Silverite pillow again!" "I breathe easier and my brain is renewed with with REM Sleep! In the morning, my eyes open without pain and stinging!! My essential head tremor is essentially gone!!! I love my Perfect Power Pillow and Sweet Sleep with Silverite!" "As a police officer sleep is really important for my ability to work at all hours. I had no idea my intermittent sleep had something to do with a pillow. I took me forever to fall asleep and I would wake up often trying to fit the pillow in the space between my neck and shoulder. After I started using the Silverite™ Pillow I slept all night and never woke up until morning. It has the uniqueness to ‘adjust it’ to each person and that is what helped me with the best night’s sleep ever." "Bought this as a valentine's gift for my husband. He is deployed and it gives him the comforts of home while he is away. Thank you!" The Silverite Bed Pillow is ergonomically designed for the most perfect fit and support for the ultimate sleep experience. The luxurious, 100% cotton cover is infused with our silver technology AND filled with Kapok, NATURES CASHMERE, providing the luxury feel you are seeking. Make the REST of your life, the best of your life with the Silverite Bed Pillow! 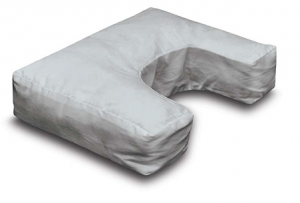 Silverite’s ergonomically designed travel pillow is the “Traveler’s Dream Pillow”. 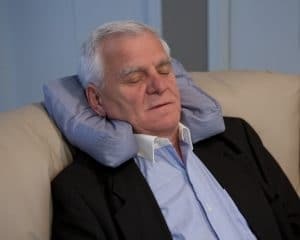 The luxurious 100% cotton, silver infused casing, along with KAPOK-fill keeps the head and neck cool, while being properly supported during those long flights and extensive car rides. 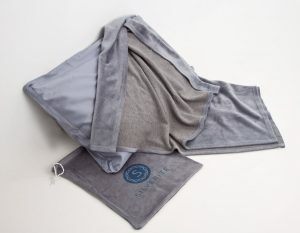 Experience the comfort and benefits of Silverite’s natural technology with this ultimate travel pillow! The ultimate ODOR-REDUCING pet bed to keep your pet happy and your house smelling great. The Silverite™ Pet Bed features exclusive silver-infused technology that eliminates odor-causing bacteria and keeps the fibers of our pet bed scent-free for long lasting freshness. Copyright Silverite, LLC 2019. All Rights Reserved.